Standing below the summit spires of Mount Olympus. A few members of our group reached "Mytikas" (nose), the mountain's highest point. 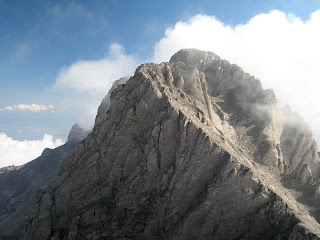 Others made it to "Skolio" the second highest point on Olympus's crown.